Fantasy Master Black And Silver Sword Set | BUDK.com - Knives & Swords At The Lowest Prices! A sleek and modern look and feel are the hallmarks of this incredible sword set. 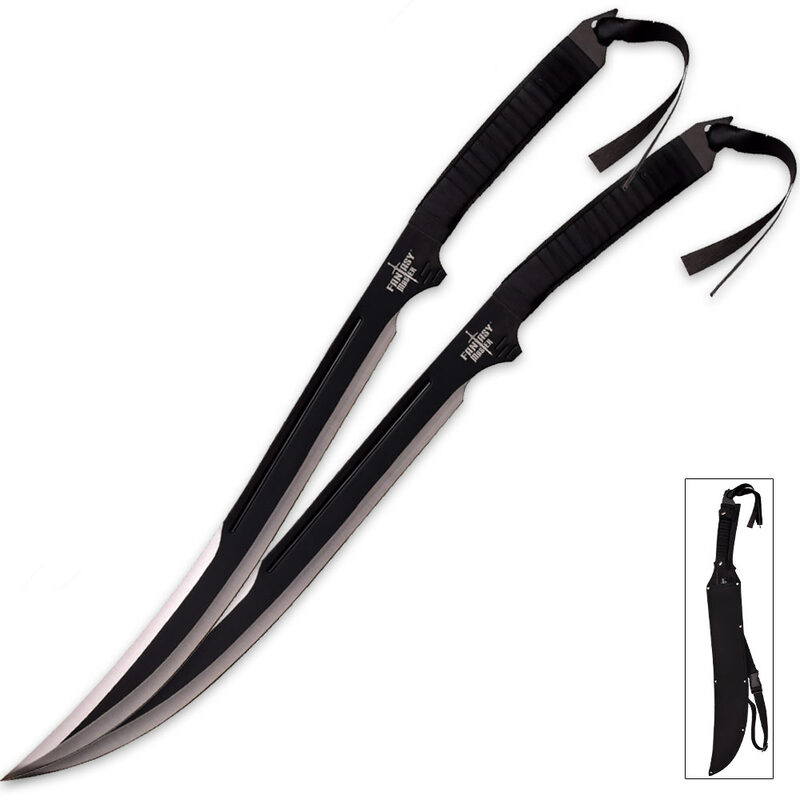 These full-tang swords have black and silver rust-resistant stainless steel blades. The handles are wrapped in genuine leather and each is 29 1/2" overall. A nylon sheath is included.